"Taking the Complexity Out of Intel Design and Reducing Time-to-Market"
This whitepaper outlines the challenges of Intel implementation. How to implement a series of complex power conversions and sequencing? How to reduce physical footprint for small form factor applications? How to search through hundreds of pages of Intel-supplied documentation for answers to questions? 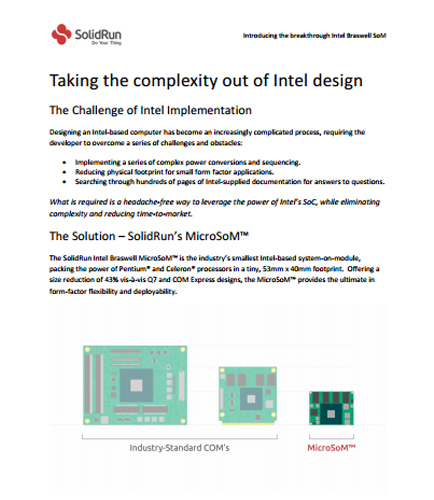 If you want a headache-free way to leverage the power of Intel’s SoC, while eliminating the need for complex power circuit design and reducing time-to-market download this free whitepaper which helps you in taking the complexity out of Intel design. Computer is a device used to input data and process it to generate relevant output in the form of signals or data. The word originated from the Latin term ‘computare’ which means calculating or computing. The computer is like a highly complex and modernized form of a calculator. The computers was initially started as calculating devices and gradually imbibed various features such as applications that could help one make notes or play games and so on.